The National Highway Traffic Safety Administration (NHTSA) estimates that 100,000 of annually reported car accidents are the result of fatigued drivers on the road. NHTSA admits that is a conservative estimate, so there may be even more every year. The average number of people who die from driving fatigued is nearly 2,000. Driving when you’re sleepy is especially dangerous because you have no real method for testing just how tired you really are. 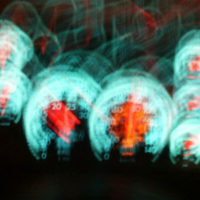 A breathalyzer can determine if a person has had too much to drink, but there is no such test for a sleep-deprived driver. Research shows that over 70% of drivers drive a car to and from their jobs; at least a quarter of these drivers admit to driving home from work drowsy. Think about it: if you get off your third shift job, all you may want to do is get home and go to bed. You don’t want to take the time to wait for a cab, and besides, your car is already parked right outside. Research indicates men are more likely than women to drive when they are tired. A study showed 56% of men polled admitted to driving drowsy, compared to 45% of women. Men are also twice as likely as women to fall asleep behind the wheel. Age plays a role in drowsy driving as well; people between the ages of 18-29 are the group most likely to drive while sleepy (71%). Younger people are less likely to pull over and take a nap than older people. The amount of sleep you get nightly can also be a factor: people who get six to seven hours of sleep are actually twice as likely to be involved in a crash due to drowsy driving as those who get eight or more hours of sleep each night. Seeing how just a few hours difference in your nightly sleep allotment can possibly lead to danger when you drive is a sobering realization. People who were polled by the National Sleep Foundation admitted that driving tired made them feel more irritated on the road, and they drove faster and a bit more recklessly. Driving while drowsy can be just as dangerous as driving under the influence of alcohol. Falling asleep at the wheel can have devastating and even deadly consequences. If you were involved in an accident because the other driver fell asleep at the wheel, you may want to seek the help of a personal injury attorney to help you get compensated you deserve. With offices in both Florida and Georgia, Gillette Law, P.A., has help many people get damages for their medical bills, lost wages, and pain and suffering. Contact us today at 888-966-8056 or through our online form to see what we can do for you.